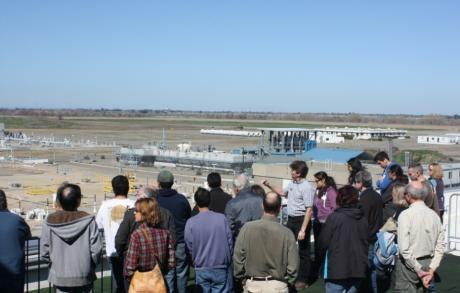 Regional San owns and operates the regional wastewater conveyance system and the Sacramento Regional Wastewater Treatment Plant located near Elk Grove, California. We serve a population of about 1.4 million in the region. Regional San has a rate and fee category for developments with 21 or more units that are restricted to residents aged 55 years and older. This applies to single-family, multi-family, condos, apartments, and mobile home developments that meet the age restrictions and the required minimum number of age-restricted units. The age-restricted monthly rate is 60 percent of the regular single-family monthly rate. The new rate category became effective July 1, 2016. Regional San offers eligible low-income customers a savings of $90 to $150 per year on the conveyance and treatment portion of their sewer bill, depending on the type of dwelling. Did you know that toilets account for more than a quarter of all indoor water use? Regional San is committed to protecting the environment and educating the public on important water quality issues. In an effort to help maximize the availability of the region’s precious water supplies, we have entered into an agreement with the Regional Water Authority to provide rebates for replacing high water consumption fixtures with more water efficient fixtures. Water customers may be eligible to receive a rebate up to $175 for installation of a High Efficiency Toilet.